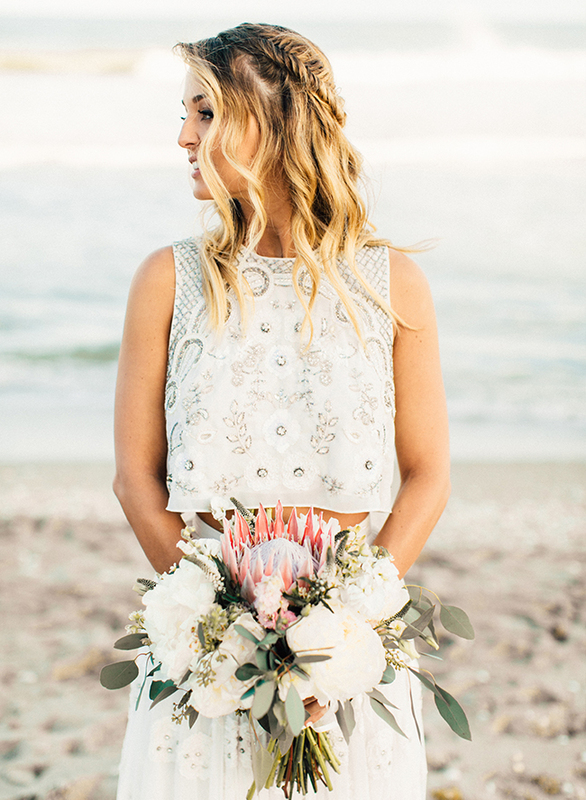 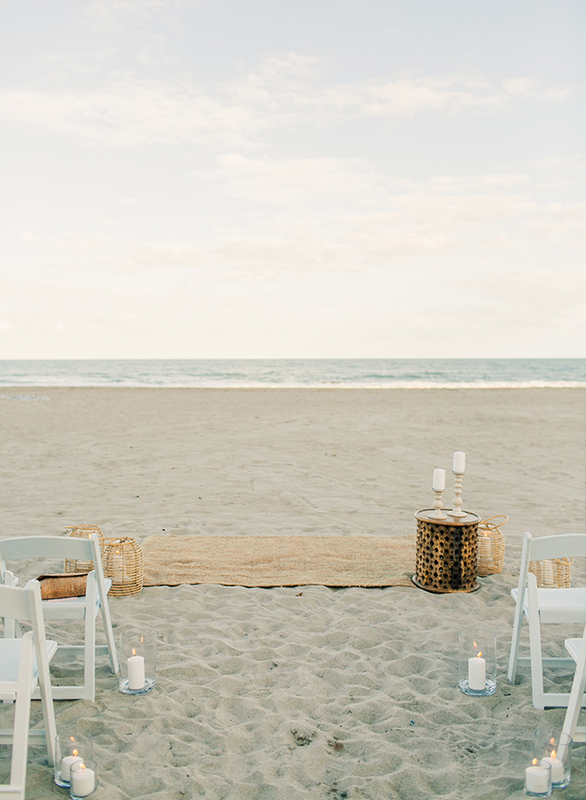 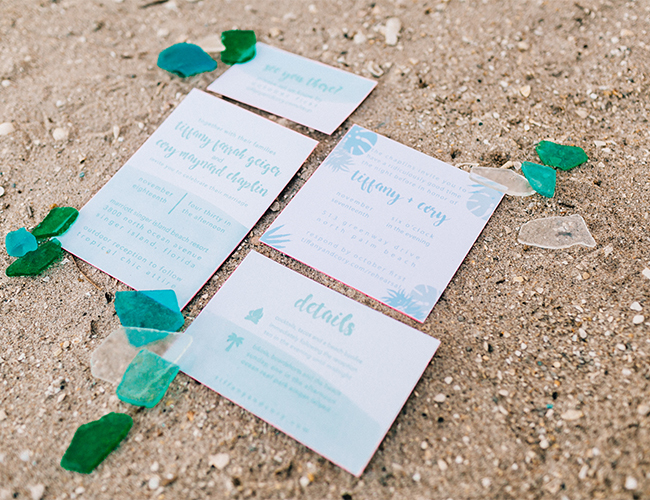 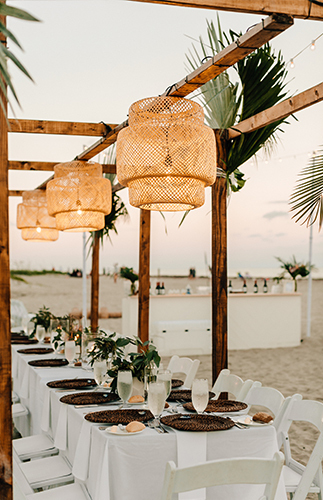 A refined, yet laid back celebration right on the sand? 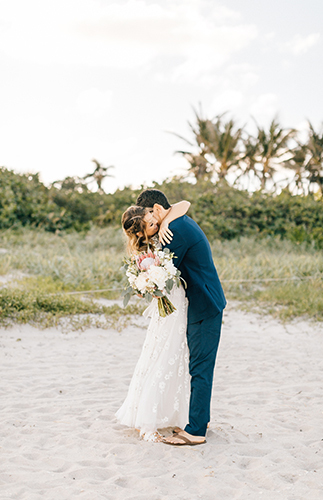 This Palm Beach raised couple wouldn’t have their big day any other way!! 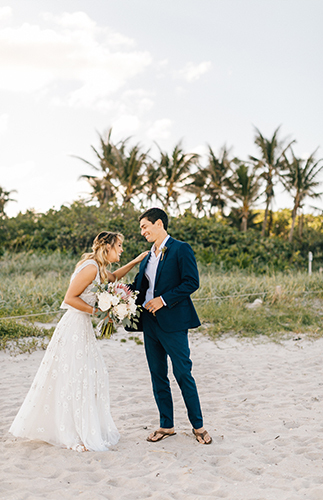 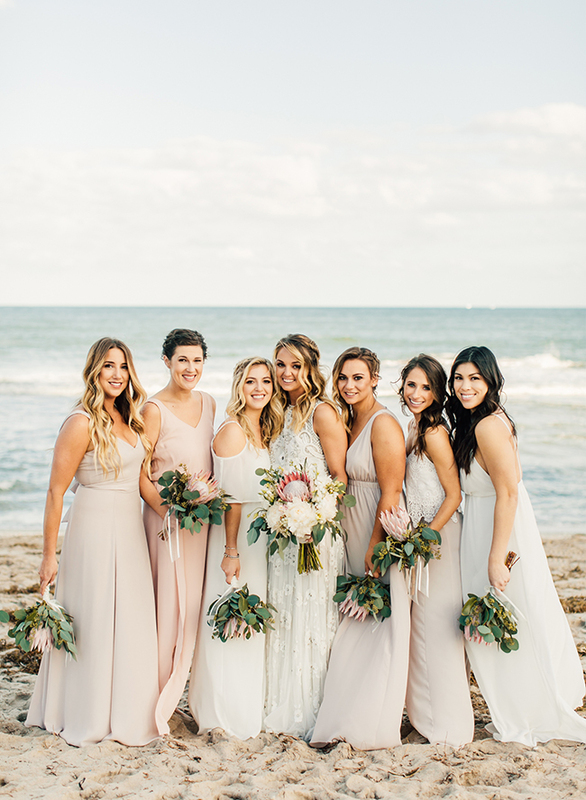 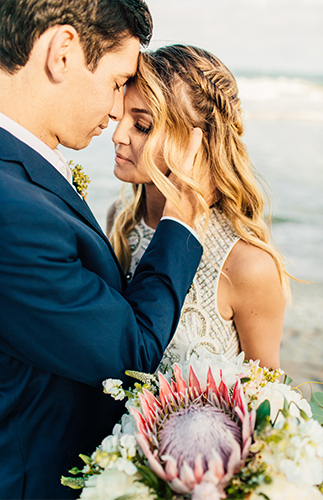 Their tropical boho wedding took place right on the beach – and not just the ceremony, but the reception too! 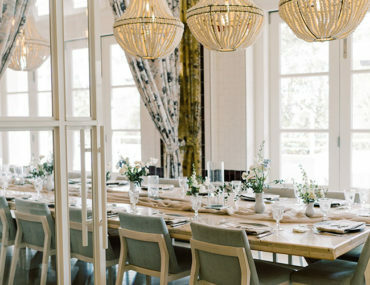 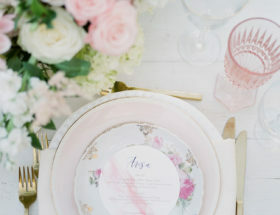 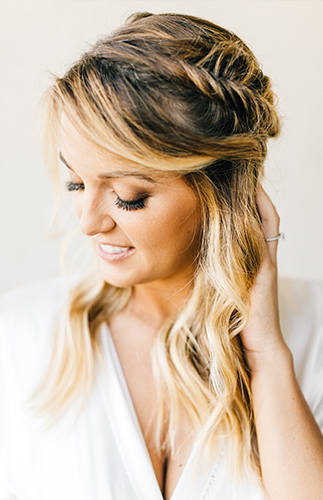 The creative bride, Tiffany, was hands-on in making her vision a reality, from gathering decor to designing everything down to the wedding rings. 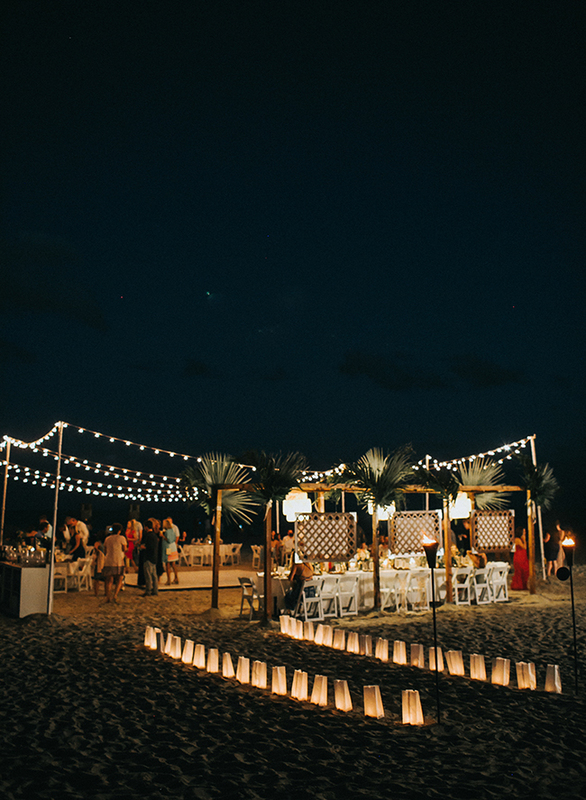 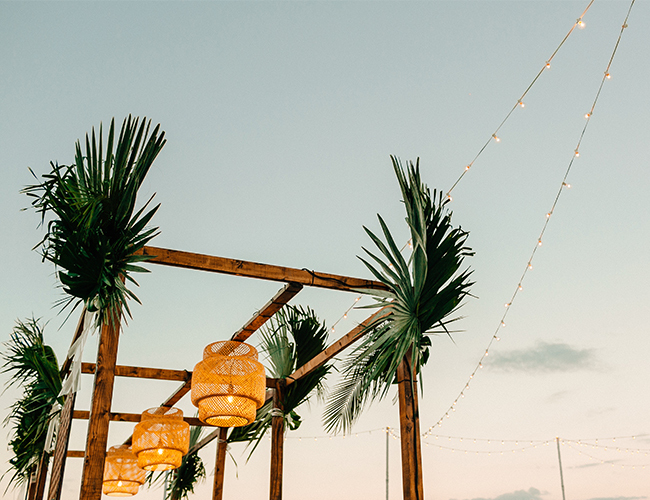 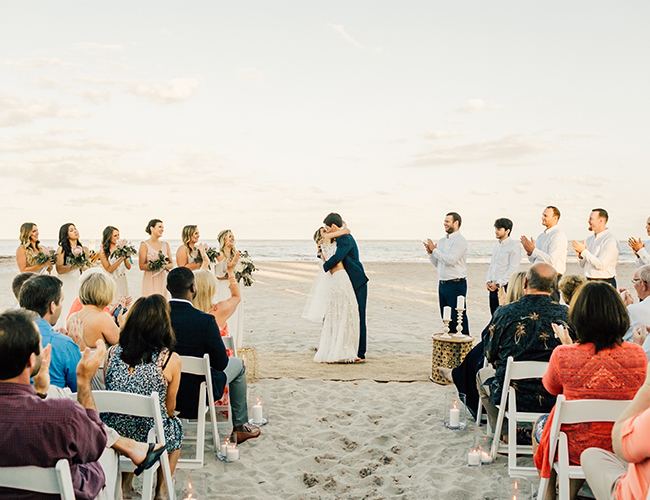 With sand between their toes, rattan lights overhead, and paper lanterns & candles lighting the way, it turned out to be everything they dreamed of and more. 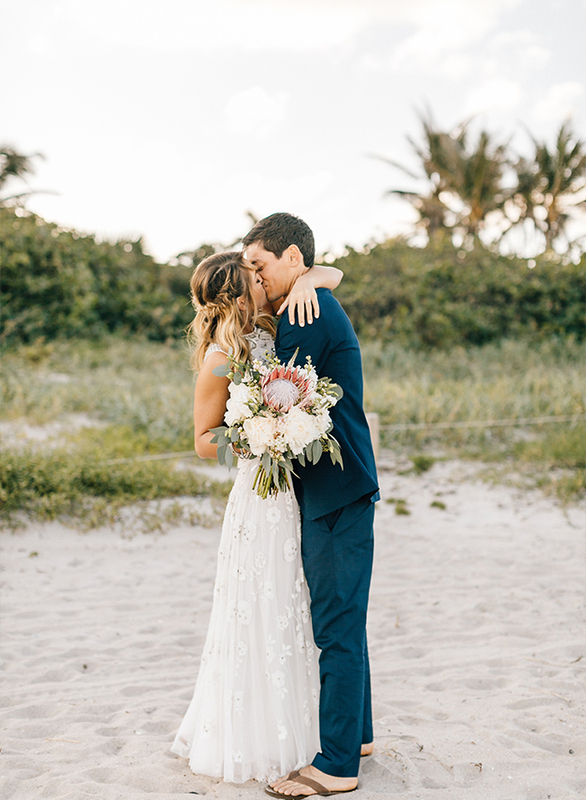 I can’t say it enough, wedding day was the best day of my life. 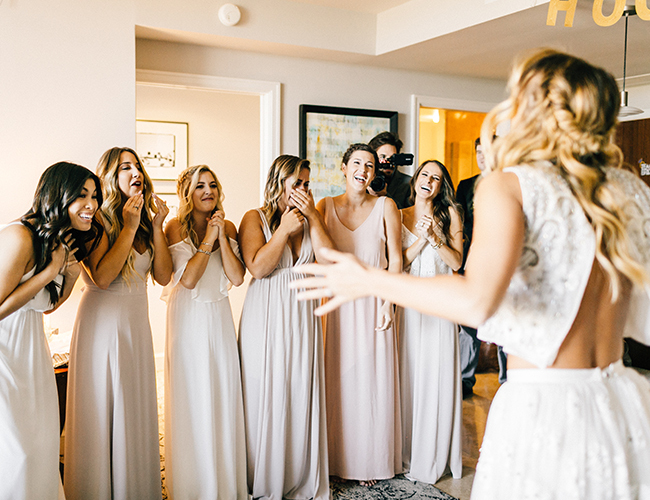 Getting engaged was unbelievable but wedding day tops it. 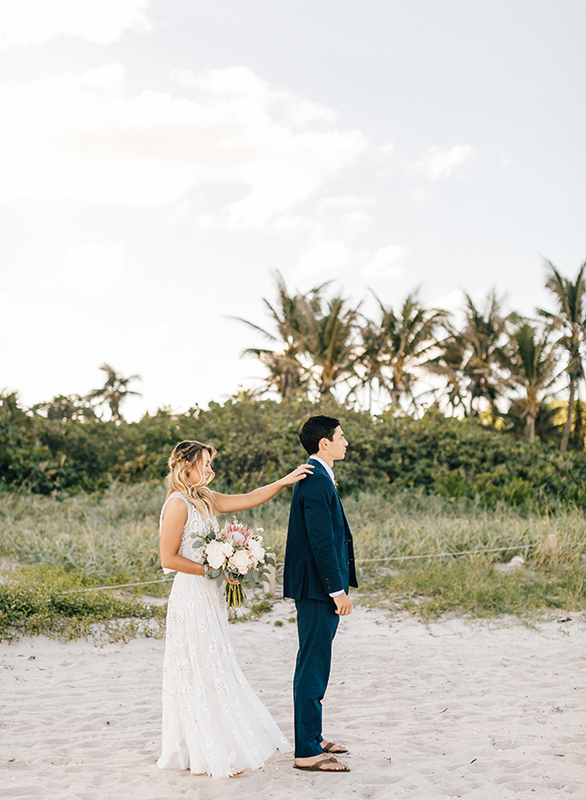 We turned our wedding day into a wedding weekend dragging it out with Welcome Cocktails, Rehearsal Dinner, Wedding Day and then a day after Beach Day Brunch. 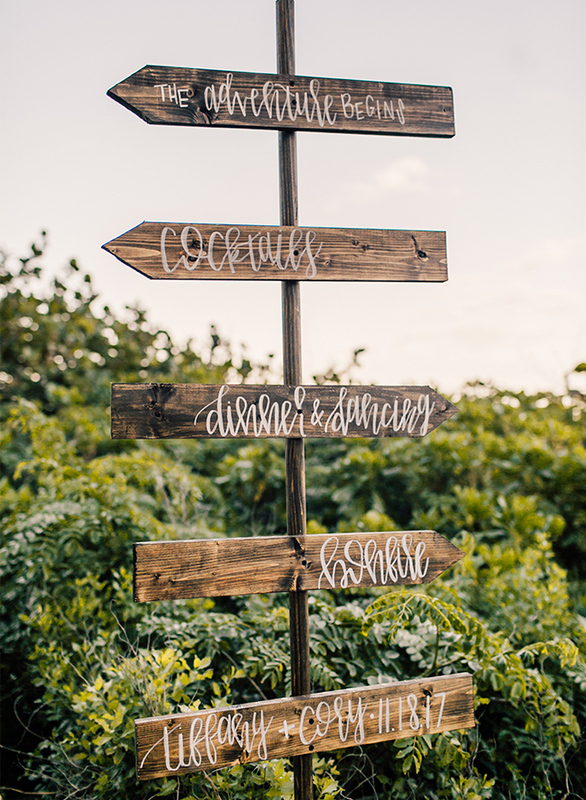 And I highly recommend you do the same – drag it out as long as possible! 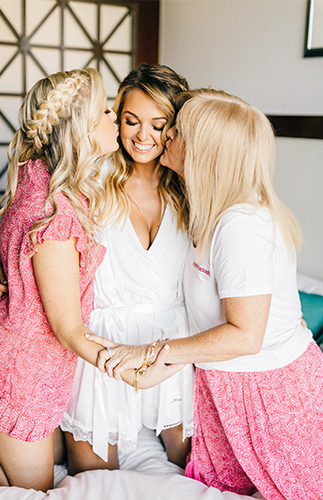 You’ll want to get in as much time as you can with all your favorite people. 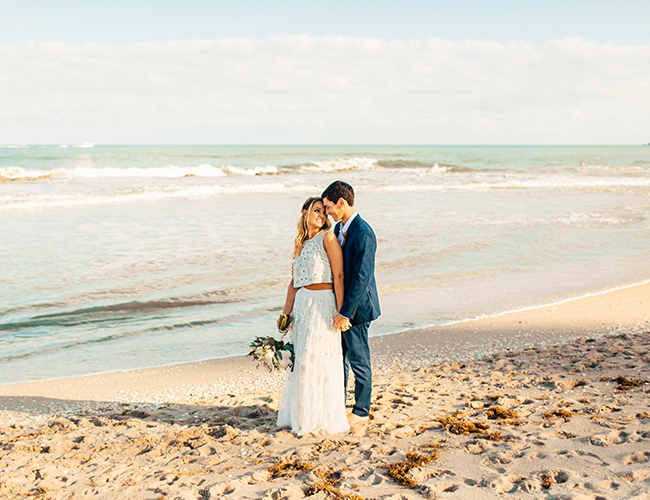 Cory and I are both originally from the Palm Beach area so it was a no-brainer that we got married there. 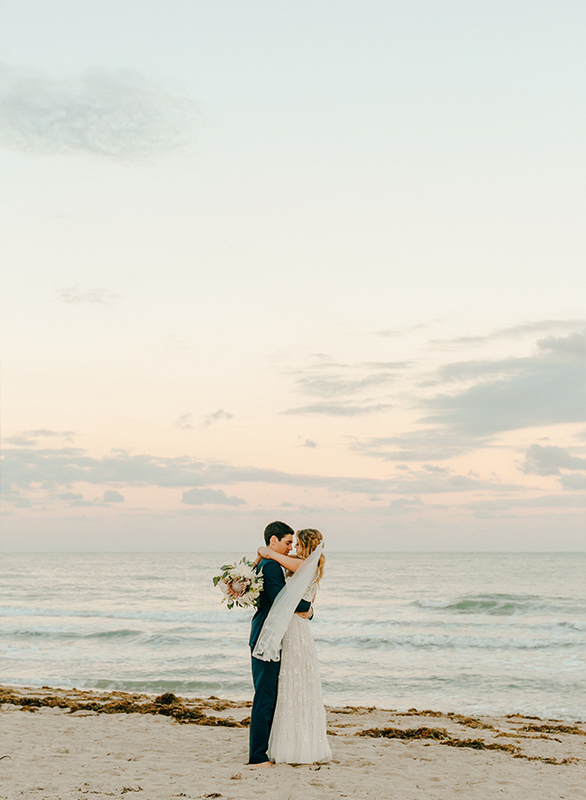 We also both LOVE the beach. 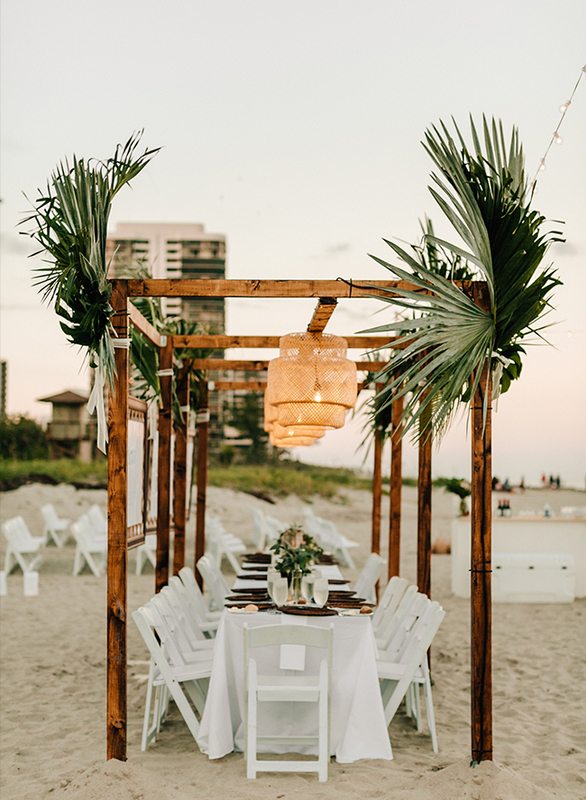 We really wanted our wedding weekend to be authentic to us – refined and comfortable with a tropical feel. 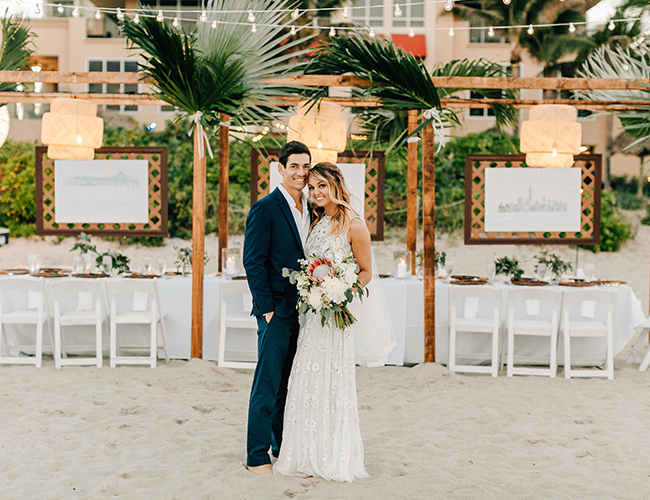 Our venue, Palm Beach Marriott Singer Island Beach Resort, hadn’t done a wedding on the beach before so they were hesitant, but with a little convincing they were happy to oblige! 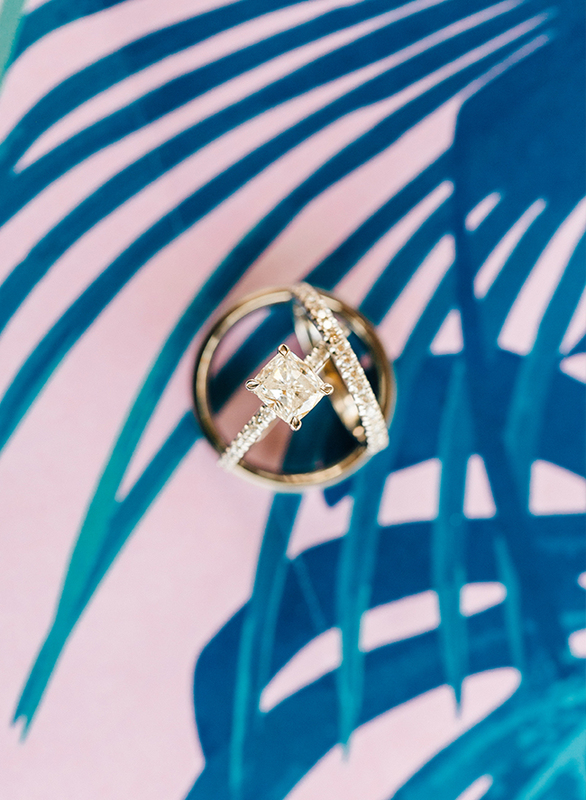 I struggled with finding exactly what I wanted so I custom designed a lot of my items – my invitation suite, my engagement ring and band, my wedding website, the bar and the structure over the head table (my absolute favorite piece!). 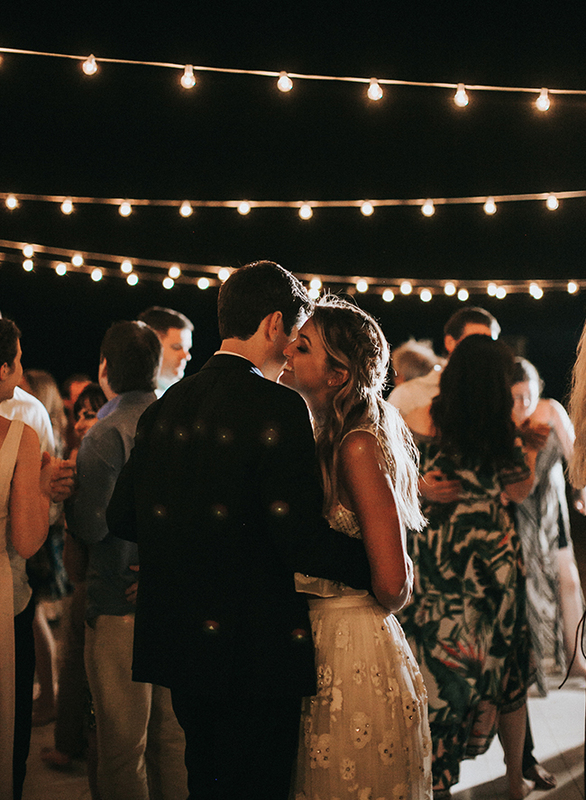 All our little details came together to give us exactly the vibe we were looking for! 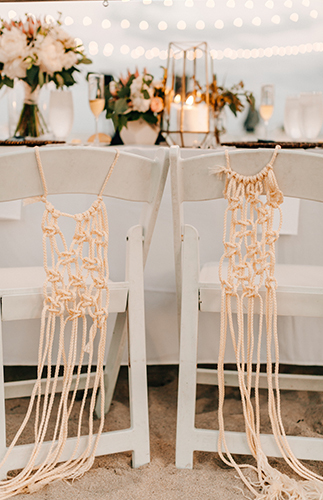 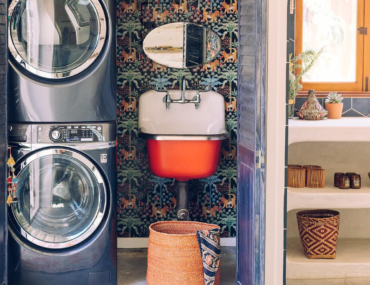 Macrame, sea shells (that we’d collected over the year), proteas, and mini pink pineapples were just a few of the tropical details included in our day. 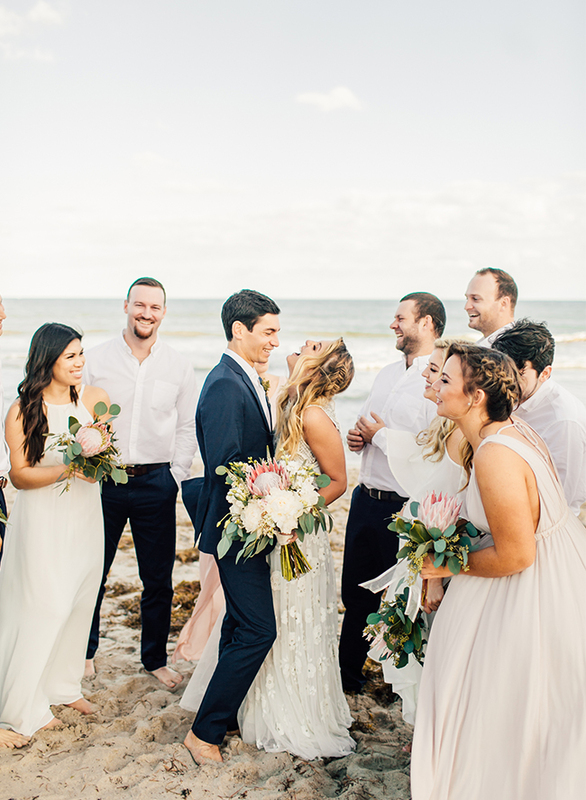 I was majorly involved in the designing and planning for the day along with some key vendors who helped make all my wedding dreams come true. 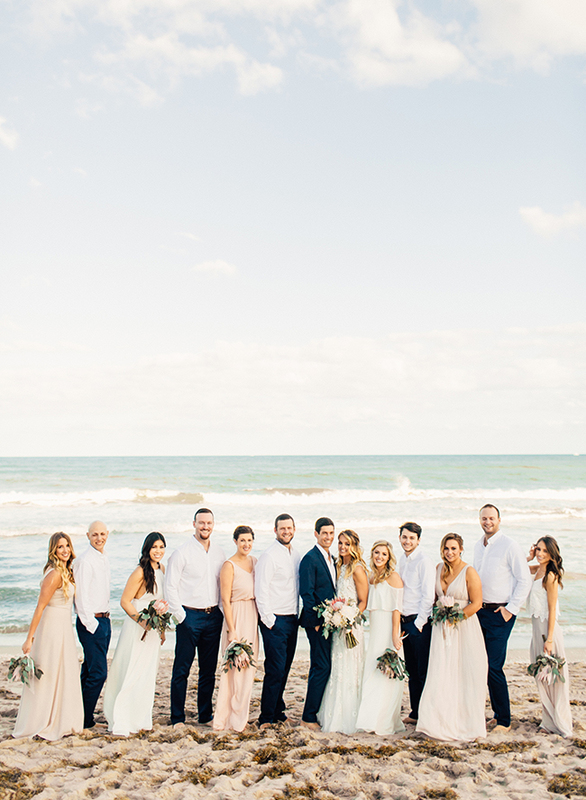 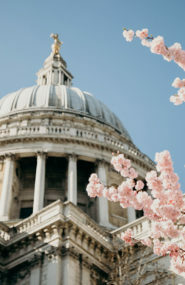 Love this wedding as much as we do?! 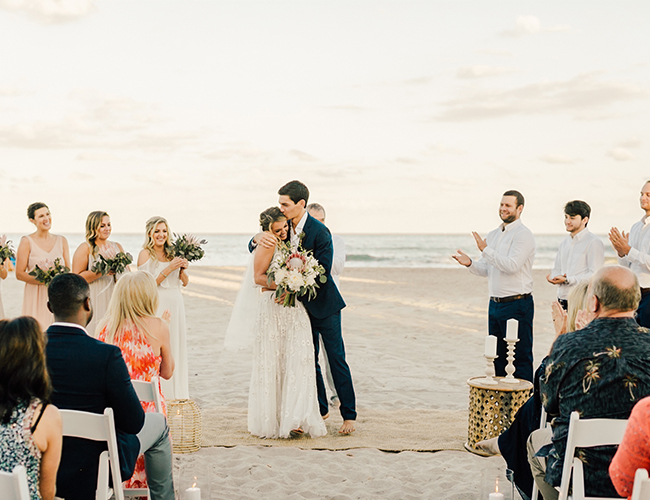 Check out this coral wedding in Punta Cana or this tropical beach wedding for all the beach wedding inspiration you need!